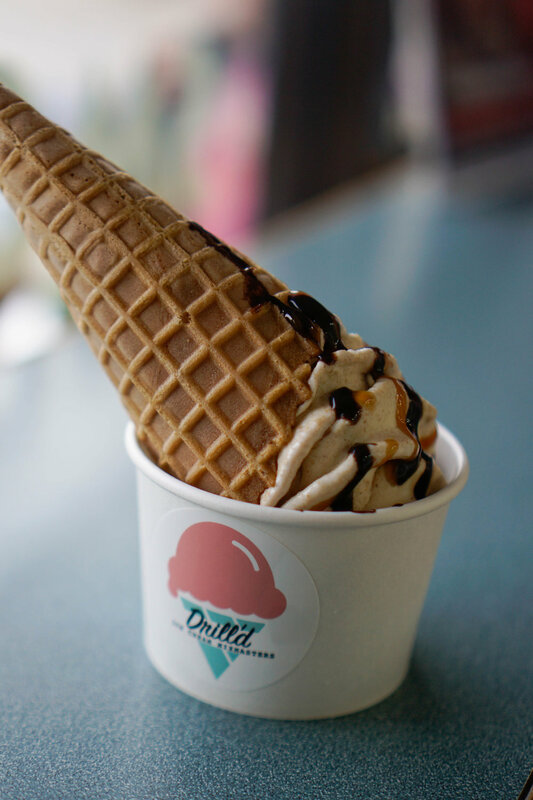 I was invited to check out a new ice cream spot in the OC! 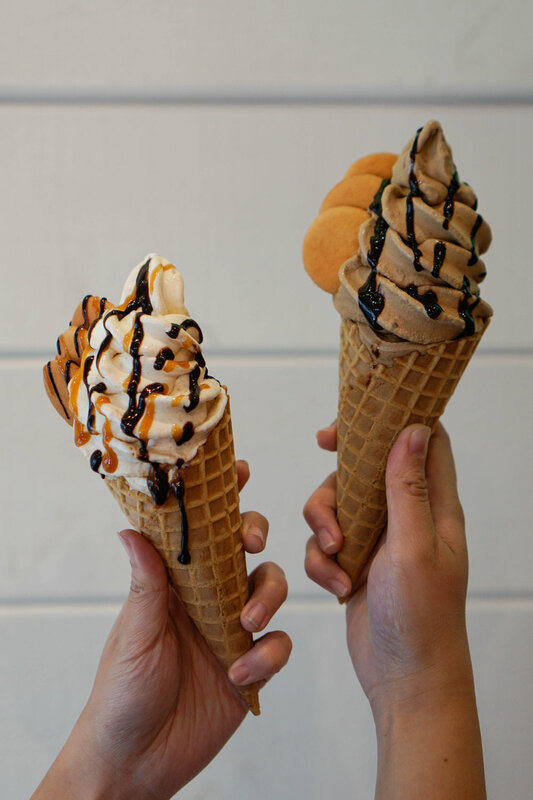 The concept here is that ingredients are mixed into the ice cream base, so there would be endless possibilities when creating the ice cream cones. The cones were so adorable! I enjoyed my Kama’Aina, which was a pineapple and vanilla ice cream base, topped with salted prune powder (li hing mui), pineapples and honey drizzle. 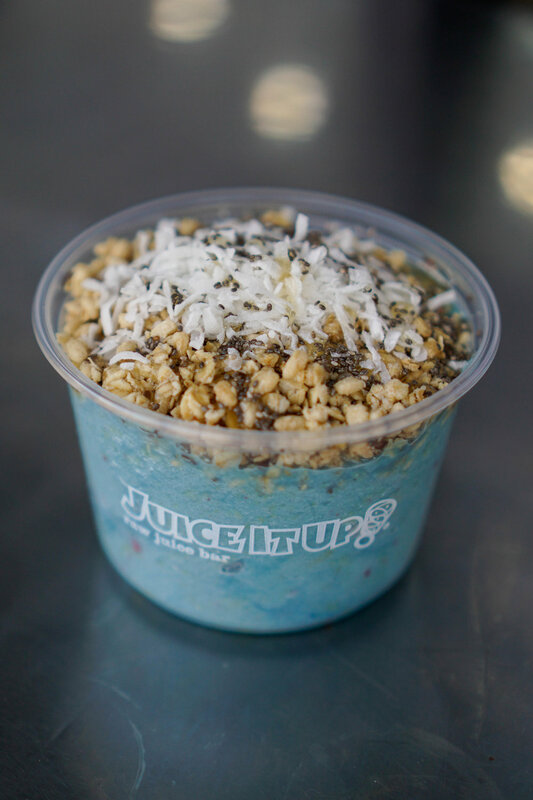 Juice It Up wanted me to check out the newest item, the Blue Vitality Spirulina Bowl. It was a pretty unique smoothie bowl as it was blue. It was blue because it was made from Blue Majik Spirulina. It tasted very refreshing and delicious with the granola, chia seeds, coconut flakes, and honey! Astro Doughnuts invited me to come check out their seasonal flavors: Lemon Poppy Seed, Boston Cream, S'mores, and El Diablo. The El Diablo was pretty unique donut, as it tasted like a fruity cocktail. My favorite one was the Lemon Poppy Seed! I had been so curious about this gelato place I saw when I was in downtown. They recently opened a second location near The Grove. They had such amazing flavors and an option to get it in a vegan waffle bowl! I got to try most of the flavors but the flavors I got were the Jamaica Agua Fresca (Hibiscus) Mint Sorbet, Black Sesame and Gianduja (Chocolate and Hazelnut). Everything tasted amazing! Surfside Bar and Grill wanted to share their new healthy menu items to kick off the new year, including some vegan options. Their food and drinks looked so amazing. I started with a Pink Bikini mocktail and proceeded to order the Poached Pear Salad, Butternut Squash Flatbread, Venice Beach Burger, and Surfside Nachos. The salad and flatbread were so unique and worth trying, and it was an overall great meal! I went to check out Ko Juice in Pasadena and it was a pretty unique concept since the drinks were all made from sugarcane juice. Customers could watch the juice pressed right in front of them. I got the Ko-Matcha drink, which was very delicious and refreshing! I attended the Milk and Eggs Food Art Installations event at The Container Yard in the Arts District in Los Angeles. We got introduced to tasty bites from Milk and Eggs vendors and refreshing cocktails. Some food from vendors we enjoyed trying were tacos made from plant-based meats from Abbots Butcher, vegetable chips from Forager Project, yogurt from Kite Hill, pasta from Domenico’s, and vegan jerky from Unisoy. Tossware wanted to share with me their BPA-free, shatterproof and stackable drinkware. They looked like glass, very clear and perfect for hosting! Check out my Milk and Eggs collaboration from January here!